A divorce or other hardship is emotionally difficult. The Law Office of Marla Zide fully understands this, and is committed to alleviating additional stress related to legal concerns. You have compassion as well as an experienced attorney on your side. Marla Zide focuses her practice on family law and its related issues. With this focus, Marla Zide will be able to fully analyze all of the details in your case to achieve the best possible outcome for you. If any mistakes are made during the filing for a divorce or for a change in visitation rights, it can result in legal and personal problems for years to come. At The Law Office of Marla Zide, legal services are handled in an effective and efficient manner. Confidence in the thoughtful care of your case allows you to direct your attention and energies to your family or work. 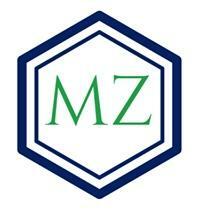 Marla Zide is a seasoned negotiator who will effectively pursue and protect your best interests. Armed with a full understanding of Maryland Family Law intricacies, Marla Zide will also strive to fully understand your legal needs as well. She takes the time to listen attentively to all of the details of your case in order to craft the most effective strategy for your best results.